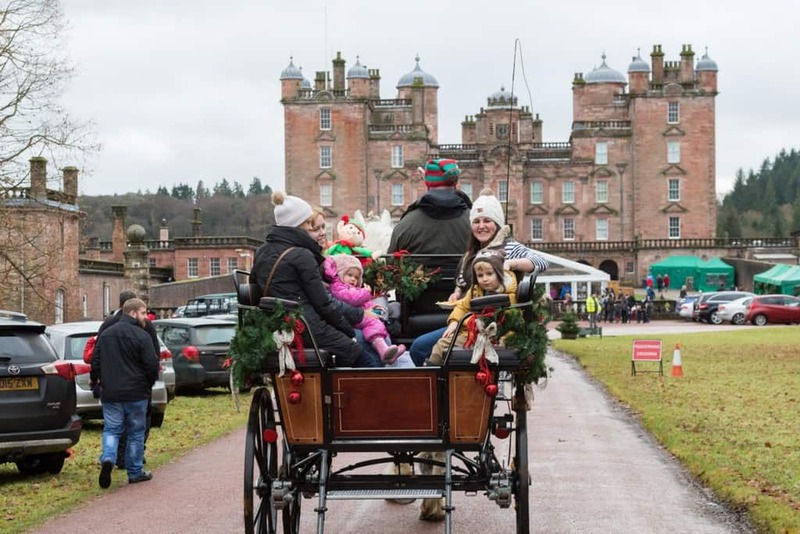 Drumlanrig Castle and Country Estate will be celebrating the festive season this year with its annual fair and a show-stopping concert. Set against the picturesque backdrop of the Castle and Queensberry Estate, a marquee located at the front of the Castle will host the annual festive fair with an array of crafts, gift and food stalls on Friday 30 November and Saturday 1 December. The weekend of activities are suitable for the whole family so everyone can get involved – from shopping to music and horse and carriage rides. To start the Friday evening off in style there will be live music of popular carols where everyone is encouraged to have a sing-along and get into the festive spirit. Visitors on the Saturday can take in the spectacular grounds with the Blackstone Clydesdales offering carriage rides and there will be a trail through the gardens for kids to explore. There will be nibbles and beverages available throughout the weekend from the Tearoom where alcoholic and non-alcoholic winter warmers with be served, accompanied with mince pies and shortbread. Of course no Christmas event would be the same without a visit from Santa himself. Children can pop into Drumlanrig’s grotto and whisper their wish lists to Mr Claus and his elves. The Christmas magic continues at Drumlanrig on Sunday 2 December when award winning Scottish singer Emily Smith will be kicking off her ‘Songs of Christmas’ tour. This will be the fourth year that Emily has performed her sell-out concert at Drumlanrig Castle, so early booking is essential. The musician will be joined by three others so guests can also enjoy performances from Jamie McClennan, Anna Massie and Ross Hamilton. The talented band will be performing vocals with the support of bass, guitars and fiddles. Drumlanrig’s Christmas Fair takes place on Friday 30 November from 4pm-8pm and Saturday 1 December from 11am-5pm. Entry costs £5 per car. The popular Christmas show ‘Songs for Christmas’ from Emily Smith will take place Sunday 2 December with doors opening at 7pm and the show commencing at 7:30pm. Tickets cost £15 plus a booking fee. To book tickets, apply for a stand at the fair please or for further event information please visit www.drumlanrigcastle.co.uk/events/ or call 01848 331 555. Keep track of what’s happening at Drumlanrig via the Facebook page @DrumlanrigCastle.